It may seem a bit hyperbolic, but it holds a real truth. Without diving too deep into programming theory — this is a site about doing life better, not about programming — I’ll just take it as given. It matches well with my experience of programming. And I think it applies well outside the domain. In programming, optimization means that you have something that works, but you’re going to make it work faster and better. The reason Knuth and many others call this seemingly beneficial process “evil” is that doing this doesn’t provide nearly as much value as it may superficially seem. We do a similar, but not identical thing with productivity. I call them “tool games”. “Tool games” are a way we spend time on things that seem like they’re beneficial to our goals, but are actually an “evil” in much the way premature code optimization is. To clarify my meaning, let’s say you want to become a great novel writer. That means that you’ll need some writing tools to use. You start with a pen and paper. And you start a few stories that way, and you get a little fed up with the difficulty of revising in that medium. So you seek a better way, and you find a computer program that lets you store and retrieve text files. It allows no fancy editing and formatting, but it’ll take your words and save them for later. And unlike your paper, it’ll also let you quickly correct a minor error or add a few lines to the middle of something you wrote without issue. So you start a few stories with this new text program. And then you get a little fed up with the difficulty of making your writing easy to share with your friends. So you look around for a while and your find a different computer program that lets your take your words that it’s storing for you and makes it really easy to put them in an email or print them out to hand off. And you’re really satisfied that you’ve now solved this sharing problem, so you start to write a few stories this way. I’ll stop this cycle, because you should by now understand what I mean by “tool games”. These are the premature optimizations of the way you actually do things in your life. You’ll notice that in my telling of your journey through three different kinds writing tools, there was never anything about writing, finishing a story, figuring out its more intricate plot points, or understanding what really makes good novels so compelling. We’re premature optimizers in many areas of our life. When faced with a choice between learning how to do something we already do a tiny bit better and learning how to do something hard, we’ll almost always choose the first. 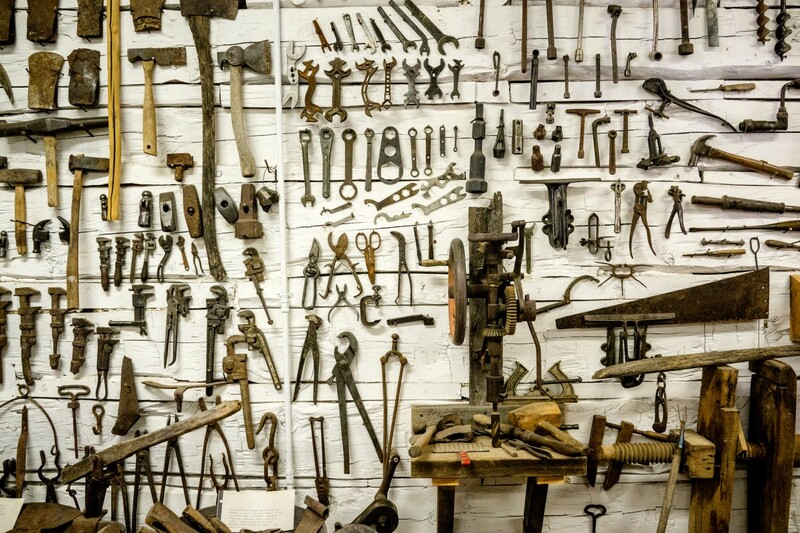 It’s easy and alluring to think that the reason you’re not publishing great stories in great books is that you just haven’t found the right set of tools to let you do that. But the tools are the most superficial part of almost any work. Want to be a great bike rider? I’ll tell you a secret: you’ll get a lot better riding the dusty old bike in your garage for 50 miles a day that you will by shopping around endlessly to find which of the new shiny $2,000 bikes fits your ideals of bike riding better. You get better at doing work by doing it. You spend time futzing with your tools or shopping for better ones, and you’ll be really good at futzing and shopping. Neither of which is likely to lead to accomplishing things that are valuable and hard. Sometimes you work very hard to reach a moment of clarifying insight. Sometimes they just fall into your lap. Sometimes that clarifying insight quickly reveals itself to be illusory. To have been too simplistic. Or poorly articulated. Or wrong. But sometimes you sit with that moment of clarity for a bit–spinning it around, looking at it from as many perspectives as you can–and it seems to be flawless. It seems like all the moments of insight that have come before grasped for this insight you now hold. The others weren’t wrong, but they weren’t quite what you’d been going for. But this one, this is the real deal. Obviously such certainty can be revealed weeks, months, or years later to have been wrong. But in that flash, and the afterglow that follows, you’re sure it could never be different. And so I feel about these three words: Be. Here. Now. Be here, now. Be where you are, when you are. Be at the table having breakfast with your family. Be in your bed, reading the lastest Clancy novel. Be entering data into a spreadsheet. Be reading this entry on this blog. Presence in any situation is no mere thing. Full presence in every situation is a very hard one. It’s so easy to focus, instead, on what dread awaits you in the next day to focus on the serenity of this moment, sitting here, writing this. Reading this. To find, after snapping back to attention, that your mind had drifted off to the hubbub of yesterday or the joy that awaits that night. I’ve spent a lot of time over the last year in worry. Primarily about the material circumstances of my life. How I could pay for the things I needed, and especially those I wanted. How I could get from where I am to all the places I’d rather be. And I can’t even put into worlds how freeing it feels to rediscover what I think I once knew: all that matters is the sequences of nows I’m currently experiencing. That I am doing my best within those is the best I can hope for.